Music School To Go makes musicians. We are a Conejo Valley music school offering private in-home music lessons in Newbury Park and surrounding areas to children of all ages from 5 to 105. Music lessons for beginners is our specialty. 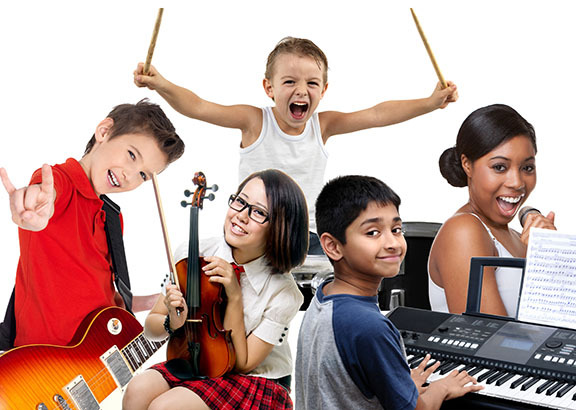 Our fun and interactive music lessons for kids are tailored to meet your child's current level and interests to best achieve his or her musical goals. We teach all major instruments and voice. Piano Lessons, Guitar Lessons (acoustic and electric) and Singing Lessons are our most popular options. The main reason to learn music with us is our outstanding teachers. All our talented instructors are university trained and/or professional musicians. Passionate about music and their students, our instructors are patient, friendly and encouraging to all students whether they are beginners, advanced, or in between. In addition, our highly qualified and experienced teachers want to instill the love of music in all our students. All our teachers love music and love teaching. Young music learners enjoy piano, ukulele, guitar (acoustic and electric), drums and singing lessons. Children who learn and enjoy music from an early age are much more creative and receptive to ideas. Kids enjoy learning the mechanics of guitar, ukulele, piano, keyboard drums and voice, as well as how to read and play notes. Our lessons for kids are fun and encourages interest and progress. Guitar, bass, drums and vocals are the most popular instruments among teens. Teens enjoy learning popular music, rock, country, jazz or R&B tunes. Many enjoy learning popular music or rock tunes and performing in bands. Musical skills acquired during teen years often launch a lifelong passion for playing music for personal enjoyment. Did you know that adults can learn music faster than children? We welcome beginners and have the expertise to help you tune up long dormant skills or apply what you already know to learning a new instrument! Maybe you want to sing Happy Birthday to your mother on her next birthday while playing the Ukulele! What are you waiting for? We welcome beginners and students of all ages. Our current students range in ages from 5 years old to students in their retirement years. Whether you desire to take guitar lessons, piano lessons or singing lessons, we take care to teach what you want to learn so music is fun and rewarding for students of all ages and skill levels. When you choose in-home lessons, you are choosing the most efficient and convenient way to bring music into your child's life. When you sign up for lessons, one of our highly qualified, talented and friendly teachers will come to you. 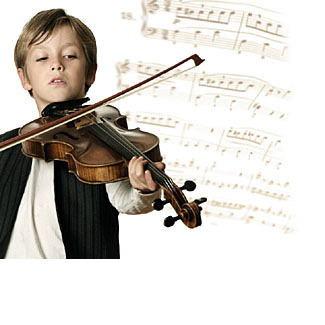 We'll carefully custom match you with the right teacher for the best private music lessons experience. Your teacher will welcome you a with personalized curriculum to meet your specific goals. You'll instantly click with your instructor and be on your way to making great music with the best teachers! Founded in 2004, Music School To Go is locally owned and operated, and the first choice of students and parents alike for quality music lessons in the Conejo Valley. We have a proven track record for offering high quality music education through private in-home lessons. All we do is teach music and we are dedicated to making each student's experience as rewarding and positive as possible and are trusted by hundreds of families. We proudly offer two fun, low-key recitals twice a year and all students are invited to participate and perform. Recital opportunities are not only fun, they provide each student with the opportunity to work towards the goal of performing at least one piece really well. Without exception and regardless of age, students rise to the occasion. They practice more, focus better and put forth the extra effort to make sure that their recital performance is the best it can be. All students are on a month to month basis, and you are under no obligation to enroll for any "set" period of time. We do not require registration fees or long-term commitments. You can begin whenever you like and discontinue at any time. Contact us or call to schedule your private music lesson. We have been serving families in and near Newbury Park, CA since 2004, and hope that your family will be the next to join our Music School To Go family!